Hello everyone! I'm really excited to be presenting this online video tutorial to you on one of the most exciting features offered in Blender 2.66: that of now having rigid body physics available in the physics panel and outside of the game engine. What used to be a much more cumbersome task of setting up logic bricks and recording game physics has now been eliminated by having this option in the physics panel alongside the soft body, cloth, force fields, etc. 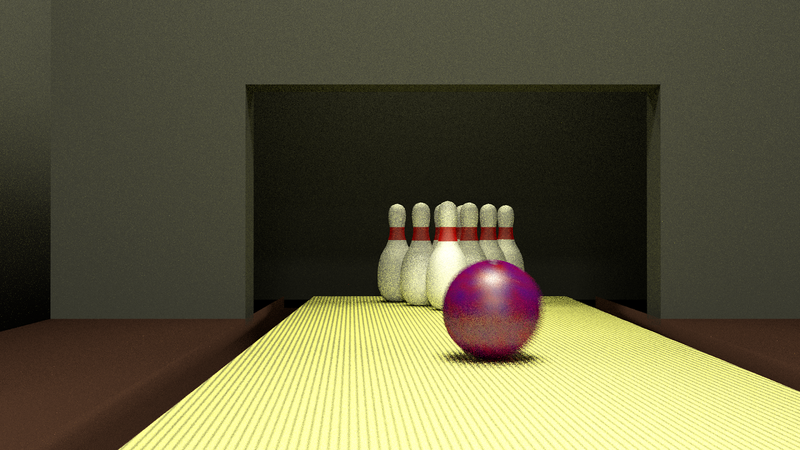 In this tutorial, we have a scene in which we'll be going bowling. In the first segment, we'll be animating the bowling ball, and then in the second segment, we'll be doing the rigid body physics so that the pins and the ball interact in a simulated collision. At the bottom of this page, I have included the source file to work from, and as always, I like to hear from you, so feedback is very much appreciated and encouraged. To leave feedback, go to the comments section below, and feel free to share your thoughts. Enjoy!